For years, that’s been something of a floating target, with the official Brewers Association definition fluctuating as size and ingredient requirements changed. And recently, there are new challenges; as international corporations buy more craft breweries, it’s becoming harder to discern whether a brewery is independently owned or a division of one of the big guys. Does it make a difference? In terms of quality, probably not. Wicked Weed, the most recent sale of note — the Asheville, N.C., craft beer darling was snapped up by The High End, the crafty division of Anheuser-Busch InBev — probably won’t do anything to change the quality of Wicked Weed’s beer; in fact, given AB-I’s record of investing in the breweries it buys, the beer could conceivably get even better. But AB-I has another record that might matter even more: It has been fined, repeatedly, across the country for illegal practices that push smaller breweries from the shelves in retailers and from the taps in bars. The latest set of charges against the giant came earlier this year from the Massachusetts Alcoholic Beverages Control Commission, which says AB-I gave away equipment — stuff like branded draft towers and refrigerators — worth a collective $1 million to bars and retailers with the stipulation that the gear would be used only for AB-I products. Those charges, combined with a history of aggressive lobbying in support of taxes and distribution laws that hurt small brewers and even limiting the sale of desirable ingredients — note: AB-I owns those South African hop farms — have left many small brewers and consumer with a case of bitter beer face. Not long after the buyout of Wicked Weed, the Brewers Association — the trade group representing craft brewers — reacted, creating a seal independent breweries could use on their products to indicate that they are independently owned. The seal definitely got the attention of AB-I; it immediately lined up several of its employees from High End breweries for a video rebuttal. 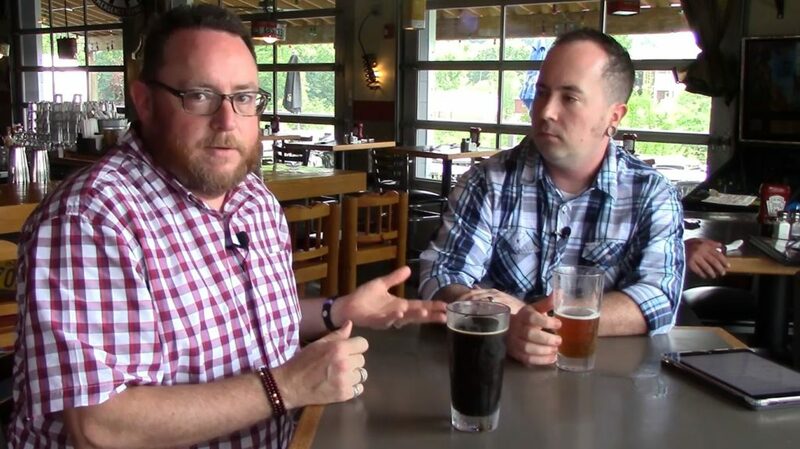 The organizers of Pittsburgh Craft Beer Week — I speak with Brian Meyer, above, president of the Pittsburgh Craft Beer Alliance, in this week’s show — have followed suit, issuing a statement saying they would apply the Brewers Association standards when determining which breweries can participate in official PCBW events. In short: if you’re an independent craft brewer, you’re in; if you’re owned by one of the big boys, you’re not. So what should a consumer do? We’re all free to apply whatever criteria we like when we’re making decisions about what we purchase and what we don’t, and there certainly plenty of folks who continue to say “If you like it, drink it,” without regard for ownership. My two cents: Ownership matters, as does the motives of those owners. I will miss drinking Wicked Weed’s beer, once I finish the last couple of pre-buyout bottles I have stashed. But in the meantime, there are plenty of independent craft breweries — including more than I can keep up with right here in our backyard — to keep us from getting too thirsty.